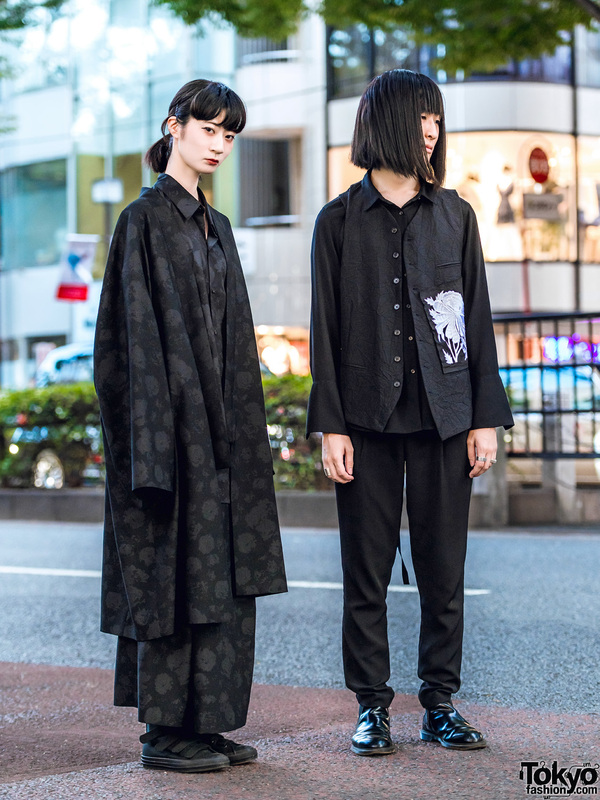 Japanese student sporting an all black sporty look with vinyl trench coat, Hindu print shirt over hoodie, Asics leggings and Batman sneakers from Converse. 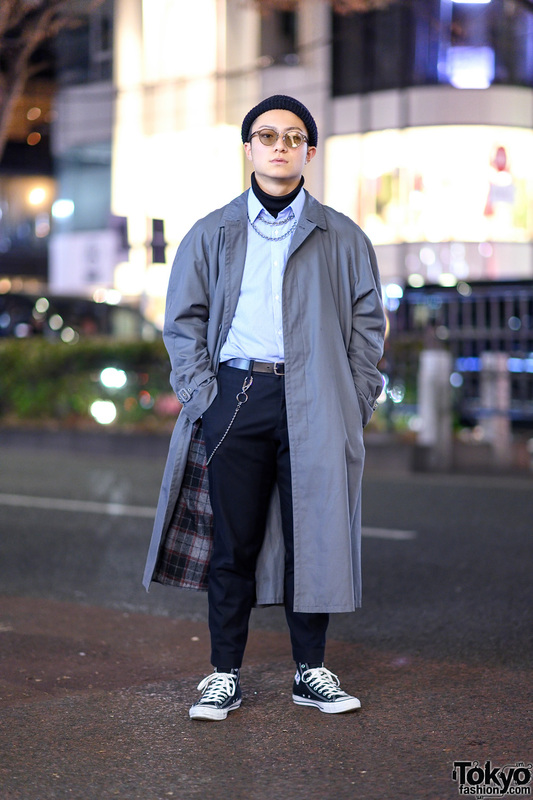 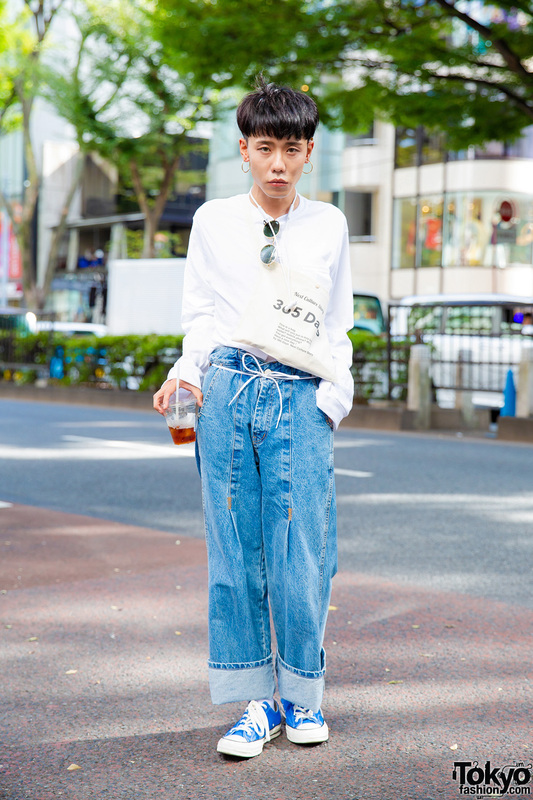 Harajuku guy wearing a white top, denim jeans, and blue sneakers. 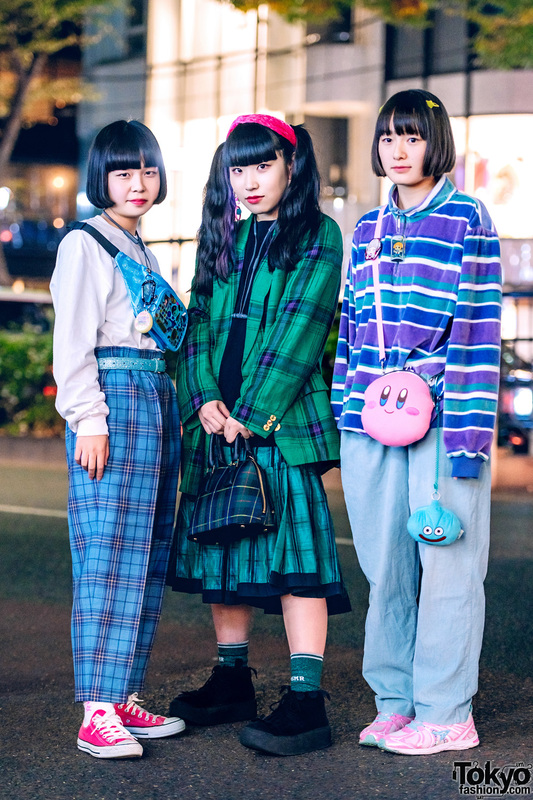 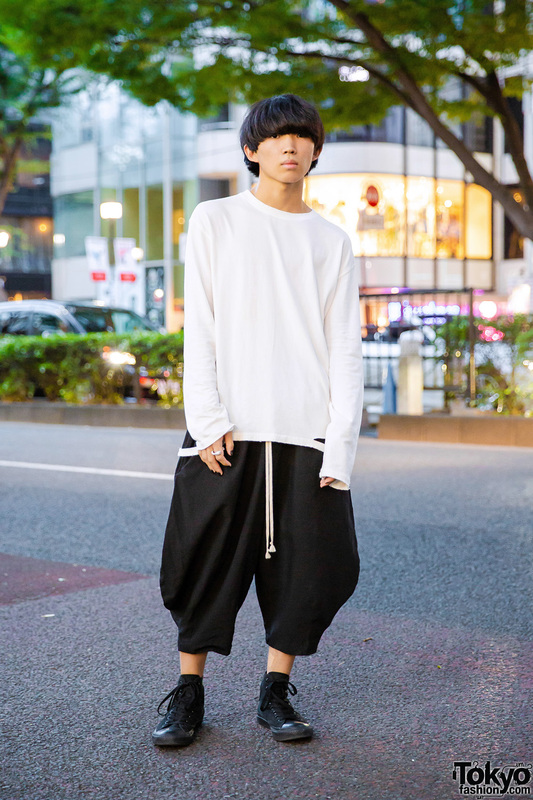 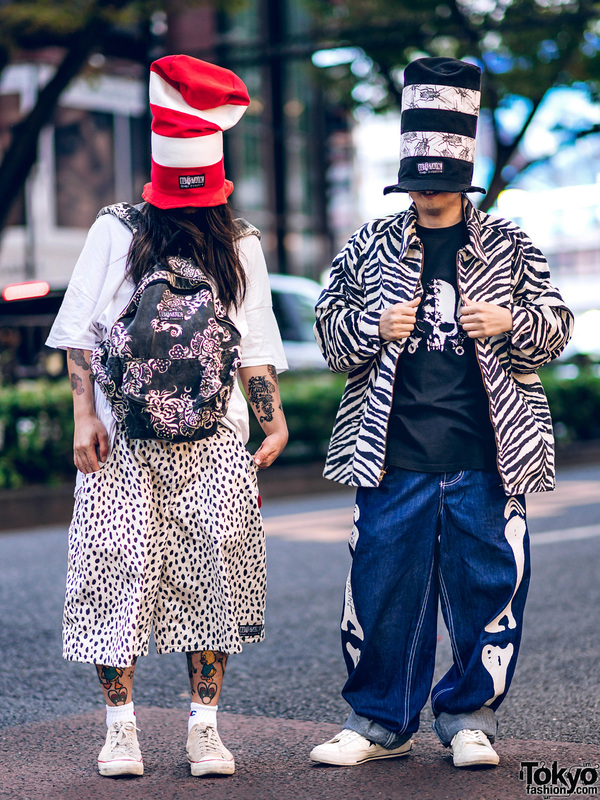 Japanese student wearing a white sweatshirt, black sarueru pants, and black sneakers in Harajuku.